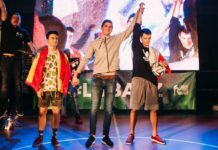 With one of the largest and most diverse freestyle scenes in the world, it’s only fitting that Poland played host to this year’s incredible Red Bull Street Style World Finals. With everyone paying attention to the top freestyle talents from around the globe, we thought it’d be fitting to instead shed a spotlight on the best that the host country has to offer. From established legends to stars of the future, here are 10 Polish freestylers that you absolutely need to have on your radar. Not letting the windy weather getting in the way, up-and-coming baller Adrian Mikos puts together a strong Touzani ATW combo. With a few top 16 and top eight finishes in big-time Polish competitions, keep an eye out for Adrian to make a splash in the coming years. Former Polish champ Jaromir Poprawa still has some tricks left in his bag. Putting together a creative set utilizing a few bounces, we can’t wait to see what he pulls out at the next major competition. Known for his dominance in the Sick 3 and Challenge competitions, Konrad Dybas is no freestyle slouch. But even for someone of his talents, nailing a trick shot like this is a bit dubious. Was this meant to happen or a fortunate accident? You be the judge. At just 17 years old, Piotr Kielar is next up. With a U18 national championship in his trophy case, you can bet he has his eyes set on conquering the big boys. Watch out. With one of the more interesting nicknames in freestyle, Mateusz Przenzak, aka Cheetos, has some serious acrobatic flair to his game. The 20-year-old’s vast arsenal has many thinking he could be a future contender to sit atop the Polish throne. With plenty of experience in the game, anyone who’s heavily involved in freestyle knows of Kalaputa. Whether he’s serving as a judge or a contestant, the respect he has amongst freestylers is 100 percent earned, as proved by this crazy move. Indisputably having the best year in terms of competitions out of any freestyler in the world, Kalina Matysiak has evolved in to an absolute force to be reckoned with. Although she missed out on winning her third world title this year alone at the RBSS finals, that doesn’t take anything away from the incredible achievements she’s earned so far. We can expect her to come out strong again next year, a testament to her incredible work ethic and intense training sessions. Defeating reigning RBSS champion Melody Donchet in the finals, hometown favorite Aguska Mnich can now be called a world champion. Her road to the finals wasn’t easy either, being paired up with fellow pol Kalina in her qualifying group. A savvy veteran in the game, Luki has little more to prove in his freestyle career. However, although he has two European and national titles each, he’s yet to claim a world championship. Could that be next? 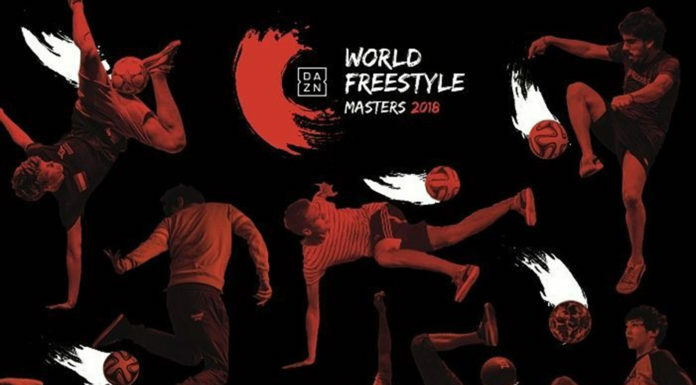 With two world titles under his belt, Szymo is widely regarded as one of the world’s best freestylers today. With eight national titles to boot, some would say he’s the greatest Polish freestyler of all time (though we’re sure Michryc would have something to say about that). Want to be featured in the next Top 10 Tekkers? Be sure to use #urbanpitch and #Top10Tekkers and tag the Urban Pitch Instagram in all your posts!